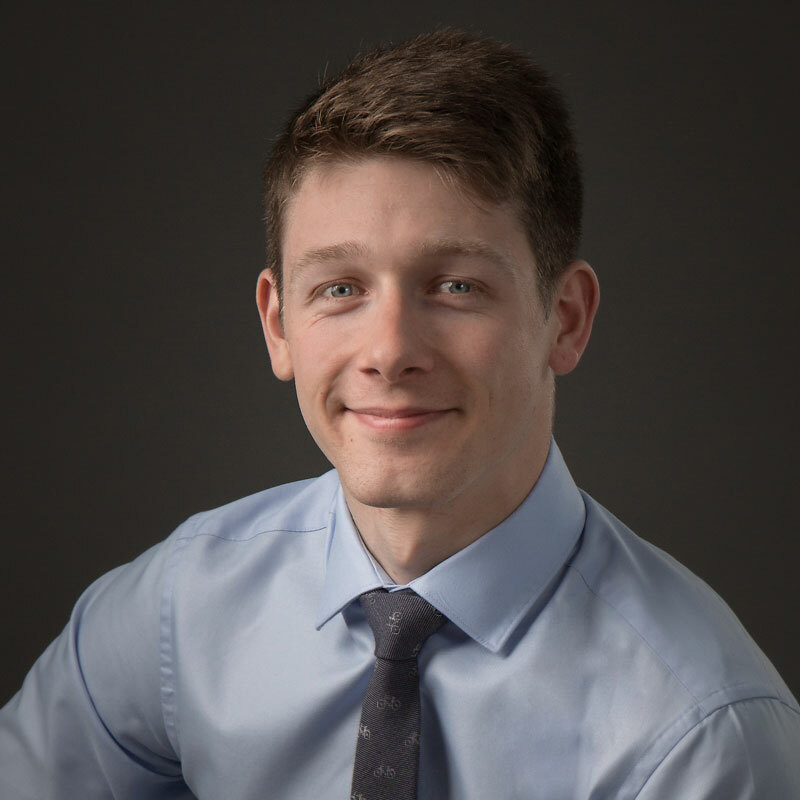 Osteopath Tom Glindon joins the team! 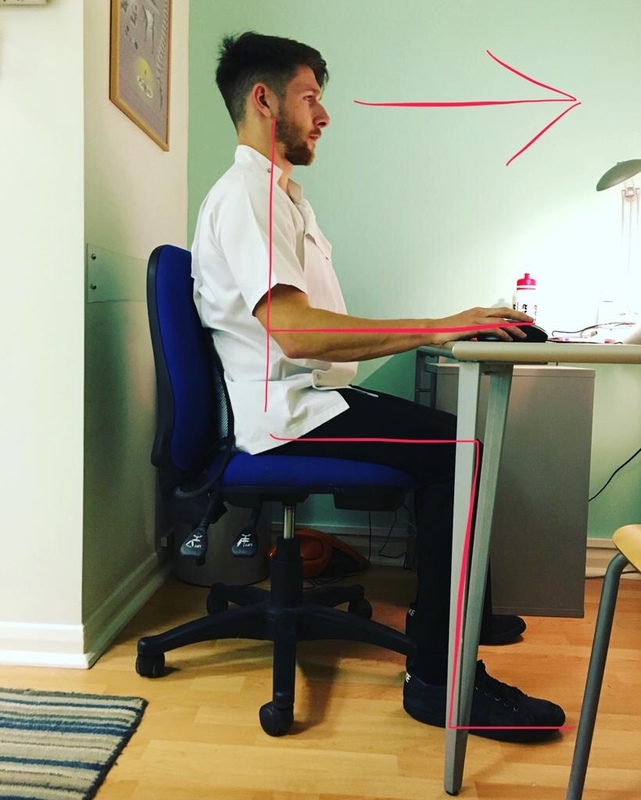 In August 2015 Tom Glindon joined the existing team of 4 osteopaths and 2 Chiropodist / Podiatrists at Brookmans Park Osteopaths. ‘Tom’s hands felt strong and confident. After 1 session I felt instantly better…’ S.M. If you would like to be treated by Tom he works Tuesdays, Wednesdays and Saturdays. This exercise routine is designed to help relieve sciatica, a pain caused by the irritation or compression of the sciatic nerve, a cause of back pain. The sciatic nerve runs from the back of your pelvis, through your buttocks, all the way down both legs, ending at your feet. 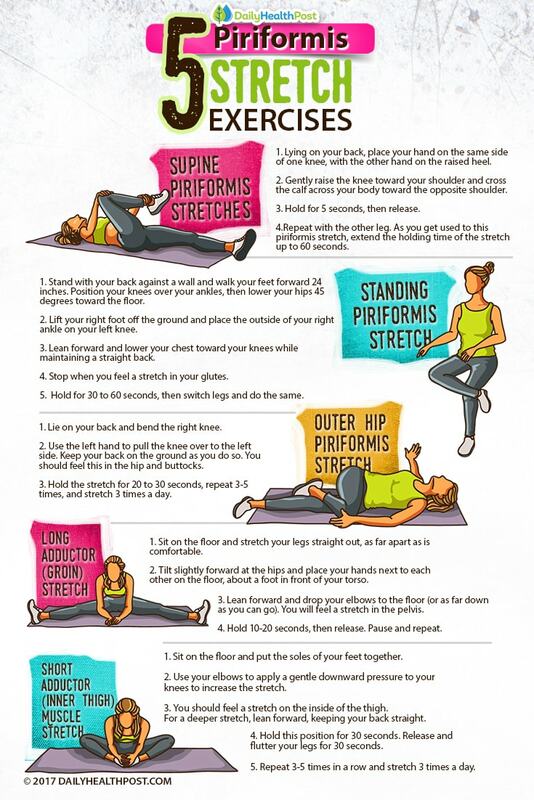 These stretches help mobilise the sciatic nerve and improve low back flexibility. Before starting these exercises make sure you have been diagnosed correctly for sciatica, and to stop immediately if you feel any pain. Start position: Lie on your back on a mat or the carpet. Place a small flat cushion or book under your head. Bend your knees and keep your feet straight and hip-width apart. Keep your upper body relaxed and your chin gently tucked in. Action: Bend one knee up towards your chest and grasp your knee with both hands. Slowly increase this stretch as comfort allows. Hold for 20-30 seconds with controlled deep breaths. Repeat three times, alternating legs. Do not tense up through the neck, chest or shoulders. Only stretch as far as is comfortable. Variation: Grasp both knees and press into chest. Start position: Lie on your back. Place a small flat cushion or book under your head. Bend your knees and keep your feet straight and hip-width apart. Keep your upper body relaxed and your chin gently tucked in. Action: Bend one knee up towards your chest and grasp your hamstring with both hands (or use a towel) below the knee. Slowly straighten the knee while bringing your foot towards you. Hold for 20-30 seconds taking deep breaths. Bend the knee and return to the starting position. Repeat two or three times, alternating legs. Don’t press your low back down into the floor. Place small towel under low back. Only stretch as far as is comfortable, and stop immediately if you feel any pain, numbness or tingling. Start position: Stand upright and raise one leg in front of you on to a stable object, such as a step. Keep that leg straight and your toes pointing straight up. Action: Lean forward while keeping your back straight. Hold for 20 to 30 seconds while taking deep breaths. Repeat two to three times with each leg. Only stretch as far as is comfortable. Your low back should not arch at any time. Start position: Lie on your back. Place a small flat cushion or book under your head. Bend your left leg and rest your right foot on your left thigh. Action: Grasp your left thigh and pull towards you. Keep your tailbone on the floor throughout and your hips straight. You should feel the stretch in the right buttock. Hold for 20-30 seconds while taking deep breaths. Repeat two to three times. Use a towel around the thigh if you can’t grasp your thigh. 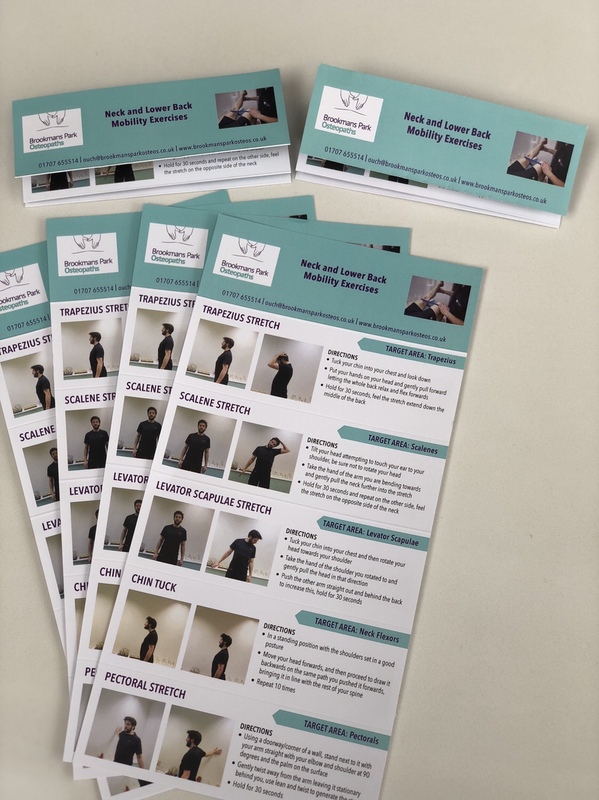 For demonstrations of any of these exercises, drop into the practice and see an osteopath.